If I said to you make up at Tesco- your response would be Vivo. 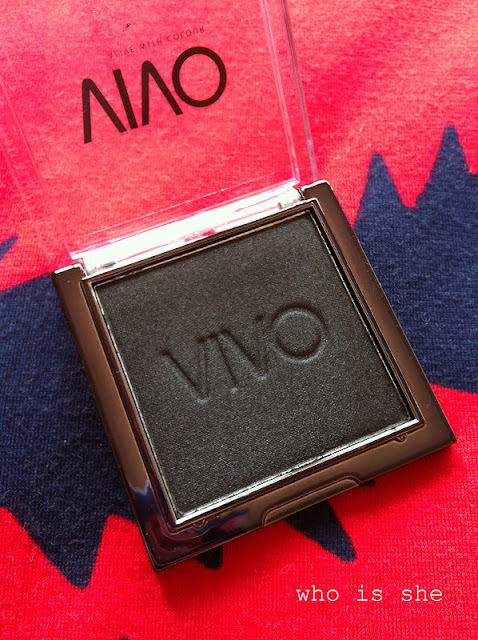 Vivo cosmetics if you've been living under a rock is Tesco's new (ish) make up range, which promises to deliver high quality make up without breaking the bank, and trust me this range does not fail. First up is the size of the product for £1.50 you get a massive 3.8g of product which is over twice the amount of a Mac eyeshadow for a tenth of the price. 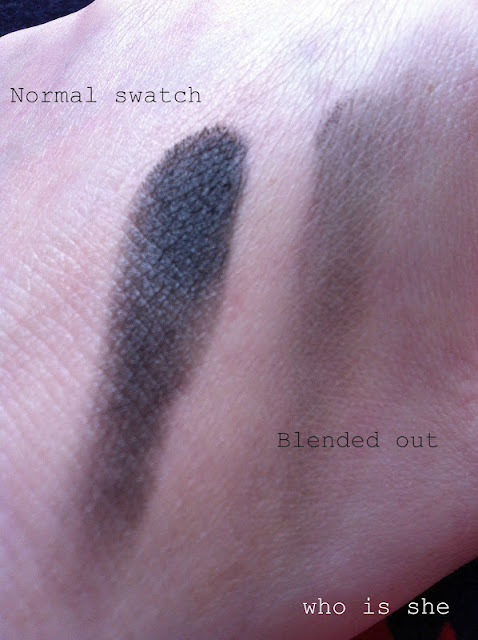 Recently I've been using this on nights out for my standard smoky eye, and what I enjoy about this product is that fact that in the pan it looks rather scary however a little goes a long way, so you can easily build the colour up/blend out until your hearts content. Even though the same suggests that there is sparkle in this product there isn't, and I would even go as far as saying its more grey than black based. Personally I would compare this to Mac Print, however this is more darker. 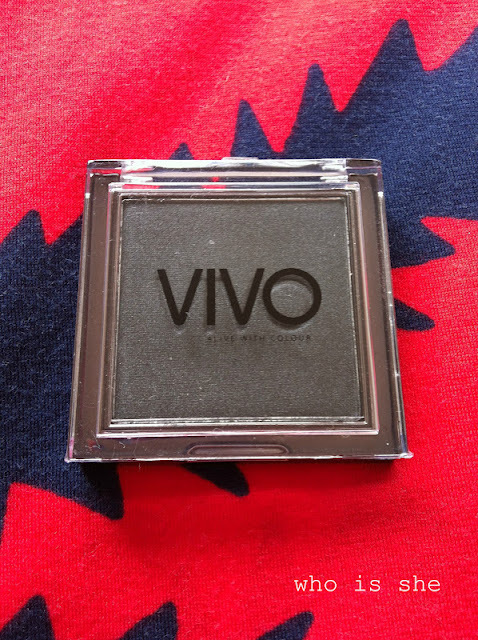 I really can't fault this eyeshadow or infact the full Vivo range- for the amount your paying for the products even if you end up not liking them (I doubt it though) your not wasting large amounts of money. Vivo Cosmetics is avaliable from selected Tesco stores- if your from the Durham area Dragonville stocks it, or you can buy direct from the Vivo website.